In its element in any terrain. 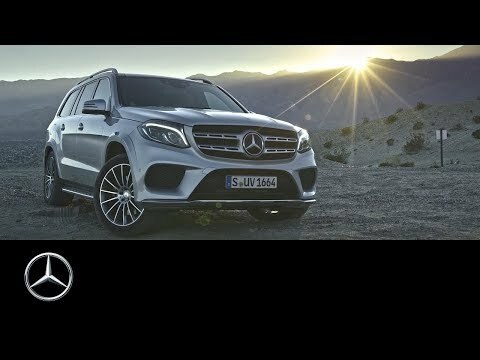 The Mercedes-Benz SUV GLS offers unrivalled luxury, versatility and driving refinement.Imposing proportions and dramatic exterior styling emphasise the car’s formidable performance, with striking design elements including a reworked twin-louvre grille, 21-inch AMG alloy wheels, and privacy glass. Inside, the cabin is effortlessly stylish and generously equipped. Fine quality materials and finishes feature throughout, while standard tech ranges from new Apple CarPlay™ to a stunning Harman Kardon® Logic 7® surround system. It’s roomy too, with comfortable seating for seven adults and an impressive boot capacity of up to 2,300 litres. As for the driving experience, you won’t be disappointed. Powerful, poised and responsive, the GLS features DYNAMIC SELECT so you can choose between relaxed or sporty driving characteristics. And, should you leave the asphalt behind, the GLS also offers impressive off-road capabilities. The new GLS AMG Line exterior comprises AMG bodystyling all round with running boards in aluminium finish, and 21" AMG 5-twin-spoke alloy wheels with perforated front brake discs and brake calipers with ‘Mercedes-Benz’ lettering. Inside, the AMG Line features heated front and rear seats in leather with black poplar wood trim. For your entertainment, the COMAND Online system¹ features an 8-inch tablet-style colour display and touchpad. The designo Line adds a range of exclusive features, such as 21" AMG multi-spoke alloy wheels with flared wheel arches and the ACTIVE CURVE SYSTEM for enhanced ride comfort. The interior stands out with its very own designo Interior package, comprising seats upholstered in designo Nappa leather with diamond-pattern quilting and black poplar wood trim. Front seats are climatised and come with massage function, 4-way lumbar support and luxury head restraints. THERMOTRONIC luxury climate control and the interior air ionisation with air filter adds to your sense of well-being on board this luxurious GLS. The new Mercedes-AMG GLS 63 4MATIC displays its superiority in every respect with its powerful engine, dominant exterior and distinctive AMG design. Along with the ‘V8 BITURBO’ lettering on the front wings, you can’t miss the 21" bicolour AMG alloy wheels with red brake calipers and the AMG sports exhaust system with two chromed twin tailpipes. The interior is brimming with luxurious AMG touches, starting with AMG Exclusive Nappa leather upholstery, AMG sports seats and the AMG performance steering wheel. AMG floor mats with ‘AMG’ lettering and brushed stainless steel sports pedals with rubber studs are also standard. In the city, on the motorway, or off the beaten track, the GLS is supremely agile and assured. 9G-TRONIC automatic transmission delivers smooth, quick gear changes with gear ratios calibrated for the optimum blend of efficiency and responsiveness.  Meanwhile, the DYNAMIC SELECT system offers a choice of driving modes to suit your preferences and the conditions. COMFORT, for example, enables early upshifts and light steering, SPORT stiffens and lowers the suspension for a more dynamic feel, while SLIPPERY maximises traction on low-grip surfaces. To ensure exceptional handling, AIRMATIC air suspension with Adaptive Damping is standard, while the optional ACTIVE CURVE SYSTEM further enhances stability and comfort when cornering. Venture into tough terrain and the new GLS rises to the challenge. Fitted as standard, 4MATIC permanent all-wheel drive works in tandem with the DYNAMIC SELECT Slippery and Off-road modes to handle all but the most difficult conditions. The new GLS is equipped with a raft of technology to keep you entertained and informed throughout your journey. COMAND Online is standard, complete with Media Interface, intuitive touchpad controller and a large 8-inch tablet-style display. The system offers a CD/DVD player, DAB radio, on-board internet access, navigation with 3D map display and a range of other functions. iPhone users will be pleased to see we’ve also incorporated Apple CarPlay™. So you can now fully integrate your iPhone into the GLS entertainment system: ask Siri® to check your calendar or send a text message, access Spotify®, and much more. Whatever’s happening outside, inside the new GLS you’ll discover a haven of comfort and calm. Fine quality materials include leather upholstery and black poplar wood trim while heated seats*, ambient lighting and Active Parking Assist are just a few of the standard features. As you’d expect there’s space in abundance, with three rows of seating enabling up to seven adults to travel in total comfort. For convenience, power-folding seats in the second row allow easy access to the rear seats. Versatility is another hallmark of the GLS, with a vast cargo capacity of up to 2,300 litres. The cabin can be configured in a variety of ways to suit your requirements and with the EASY-PACK automatic tailgate, loading and unloading couldn’t be simpler.